Dimensions 0.75 by 8.50 by 8.50 in. Architectural programming is a team effort that requires closecooperation between architects and their clients. 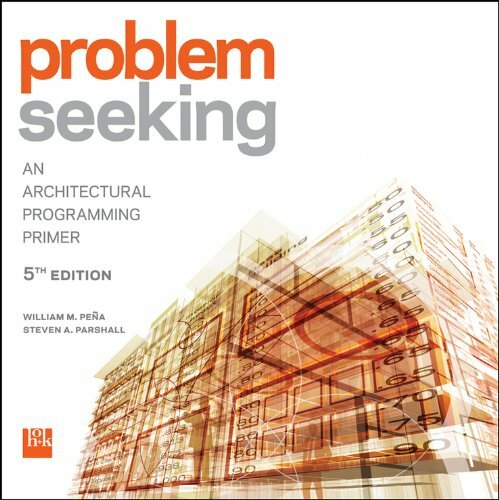 ProblemSeeking, Fifth Edition lays out a five-step procedure thatteams can follow when programming any building or series ofbuildings, from a small house to a hospital complex. This simpleyet comprehensive process encompasses the entire range of factorsthat influence the design of buildings. About: The classic programming guide for architects andclients¿¿—fully updated and revised Architectural programming is a team effort that requires closecooperation between architects and their clients. About: The classic programming guide for architects and clients-fully updated and revised Architectural programming is a team effort that requires close cooperation between architects and their clients.